Click on the image below to view a tour of this property. 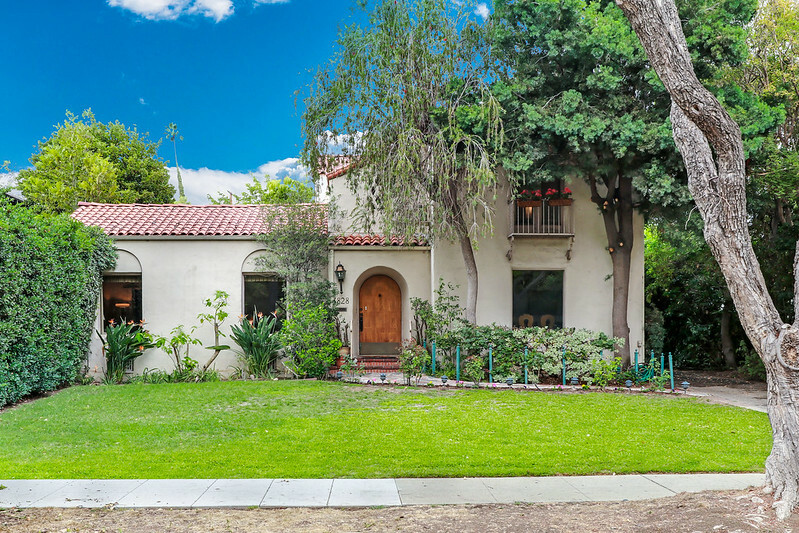 Gracious Spanish Colonial Revival in the coveted Marengo Estates Area! As you enter this charming home, you are greeted by a lovely foyer with hardwood floors, high ceiling and elegant stairway. Matching arched doorways lead to the spacious living and dining rooms. The tall, beamed ceiling, fireplace, and arched, built-in bookshelf accent the living room. Passing through the light and bright formal dining room, you find the breakfast room, kitchen, office, powder bath and utility area. An en suite bedroom with Juliet balcony and ample closet, two additional bedrooms with views of the San Gabriel mountains, and a full bath complete the second story. The expansive, 12,000+ square foot lot features a covered patio, large solar-heated swimming pool, two-car garage, rose garden, and numerous fruit trees, such as lemon, orange, loquat, fig, and guava trees. This home has it all: a well-designed floor plan with architectural details, three generous bedrooms, formal dining room, full basement, large flat lot with pool, 2-car garage! This wonderful home has been cherished by the same owner for 47 years and awaits a new owner to bring its fine features to light. This represents a one-of-a-kind opportunity and will be an investment worth treasuring for years to come. Welcome home!